– Britain’s Laura Muir speaking after successfully pulling off the 3,000/1,500 double at the 2017 European Indoor Championships. 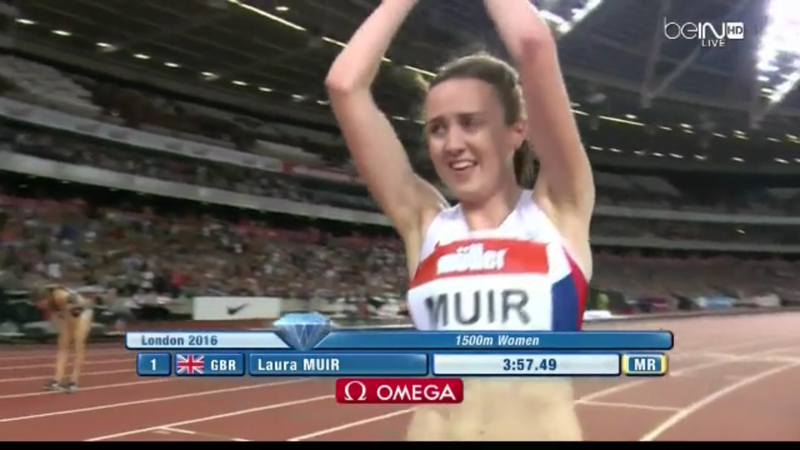 Laura Muir does it again!! 2nd day in a row - European title and Championship record - 8:35.67!! If you were going to prison for 35 years and had to report in the next 6 hours what one of these would you do? What's the dumbest slogan on a runner's/jogger's T-shirt you've ever seen? How many mpw did you run in HS and what were your PRs? USA Men And Canada Women Win At NACAC XC Championships The USA men took the the five spots lead by race winner Abbabiya Simbassa. Canada’s Sasha Gollish won over USA’s Amy Van Alstine. Ezekiel Chebii Outkicks Vincent Kipruto To Win Lake Biwa Marathon In 2:09:06 The two entered the stadium together and Chebii pulled away with less than a lap left to win by 7 seconds. LRC Fancy Bears Releases The Vitamins And Medications That Galen Rupp And Shannon Rowbury Were On Before Rio Supplements are an important part of the all-in focus of the Nike Oregon Project as Galen Rupp took more than 20 legal pills over the span of 4 days in April according to the latest Fancy Bears leak as published in L’Equipe. 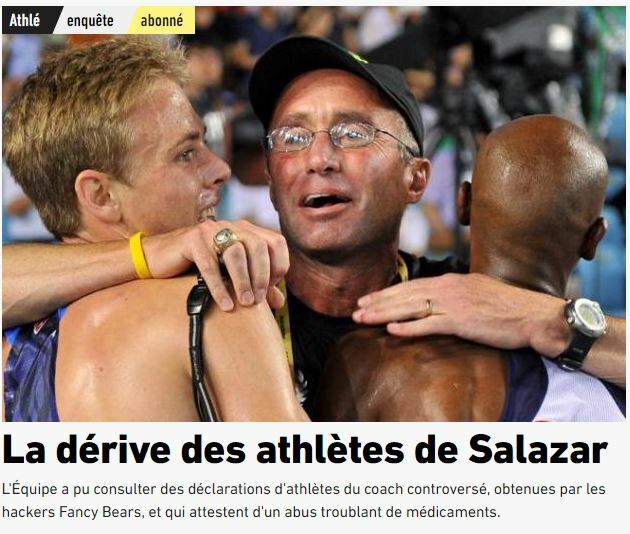 BBC: USADA Wants More Proof That Salazar Should Have Had Androgel: “(Salazar) has not established acceptable justification for possessing testosterone and his admitted possession of testosterone appears to have been a violation of sport anti-doping rules.” USADA has apparently asked Salazar for his medical tests proving he needs to have androgel. Salazar apparently hasn’t complied although his vehement denial of the initial ProPublica/BBC report included a note from from two doctors (Exhibit 26 and 27) and a note from a pharmacist. Recommended Read: Toni Reavis Analyzes The “Fine Line Between The Letter And Spirit Of The Law” Reavis surmises that Salazar has already broken the spirit of the law in the court of public opinion, but notes that the spirit is constantly changing (example: today’s professionals vs. former amateurs). HS Pole Vault Record Holder Armand Duplantis One Ups Olympic Bronze Medalist Sam Kendricks’ PV Challenge Kendricks posted a video of himself jumping over 18 feet (5.50m) five times in under 30 minutes, so Duplantis went and posted a video of himself doing it 10 times. Alyssa Wilson Breaks Raven Saunders’ National High School Shot Put Record With 57-Foot 5.5-Inch Throw She broke Rio 5th placer Saunders’ record by an amazing 10 inches. Video: Adam Nelson, Michael Phelps And Travis Tygart Testify In Front Of Congressional Hearing On Doping You can watch the full 2+ hour hearing, but these three speak from about 18:30 to 40:30. Michael Phelps Was Tested 13 Times Before Rio; Is Baffled How Many Athletes Weren’t Tested At All It’s not a surprise that Phelps would be tested more than most, but it was surprising that 4,125 Olympians (many in high risk sports) weren’t tested at all before Rio. Russian President Vladimir Putin Urges Russia To Heed Demands Of McLaren Report, But Continues To Dismiss That There Was Any “Institutional Conspiracy To Conceal Positive Doping Tests” Putin admits that the Russian anti-doping system has “failed,” even if he didn’t admit to the specific allegations in the McLaren report. NY Times: Vladimir Putin Casts Doubt On Storage Of Doping Suspects’ Urine Samples Putin seems to suggest that the tiny scratches on Russian athletes’ bottles, which indicated they had been tampered with, could have happened after Sochi while being stored in Switzerland. IOC Claims It Wants WADA To Be Independent After Travis Tygart Slams Them For Letting Clean Athletes Down In Rio For WADA to be independent, it needs a leader who doesn’t have conflict of interest by also being an IOC Vice Pres. Sara Hall Explains Her Breakthrough At The Tokyo Marathon Hall credits a lot of her improvement to training with a team in Ethiopia this time around rather and getting pulled along in workouts by women much faster than her. Johnny Gregorek And His Father Now The Fastest Father/Son Combo Milers Amazingly, the Gregoreks now have a faster average mile PR than even Kip Keino and his father and the Centrowitzes. 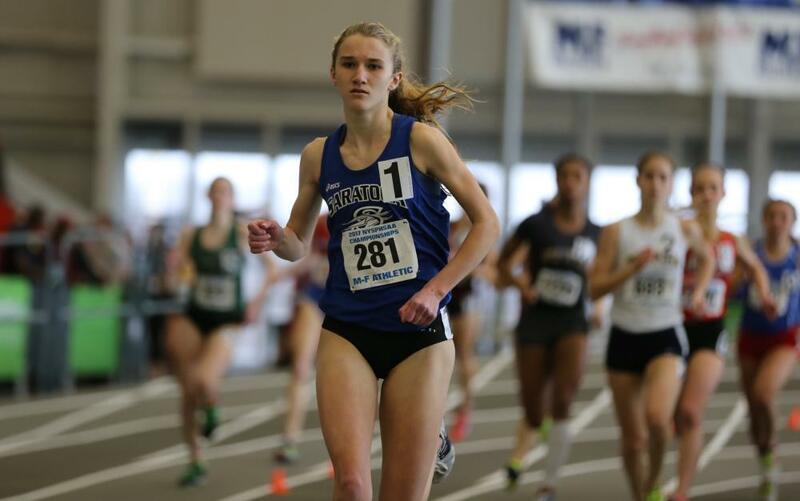 MB: Courtney Dauwalter Breaks US 24-Hour Record Running on a track, she did a little over 250 kilometers, which means she ran 9:16 pace for about 155.34 miles. 1,000m Preview: Clayton Murphy Takes On Robby Andrews; Breakout Star Charlene Lipsey Favored In Women’s Race The men’s 1k is loaded as it includes Murphy, Andrews, Wheating and Kidder. 600m Preview: What A Clash – Ajee Wilson Vs. Courtney Okolo Headlines Women’s Field As World Record Holder Cas Loxsom Headlines Men’s Field The 600s at USAs feature some very interesting match-ups but none better than Okolo vs. Wilson on the women’s side. But can the WR holder Cas Loxsom deliver the goods on the men’s side or will Donavan Brazier win his first US title? Olympic News – Did Rio Bribe To Get The 2016 Games? Tokyo To Consider Gender Neutral Toilets At 2020 Games Venues The days of women’s lines out the door while men are in and out in 2 seconds could be a thing of the past. Thomas Bach Considering Proposing Changing Rules So Cities Bidding For The Olympics A Second Time Pay Less Part of the problem with the process is that just bidding for the Games costs a lot of money. 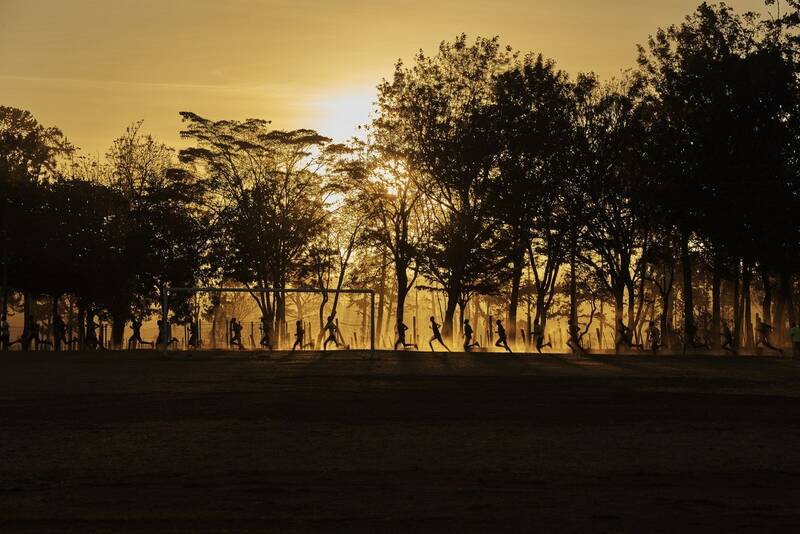 Confusion Over Kenyan Participation At Commonwealth Youth Games After NOCK Announces Withdrawal The NOCK secretary general announced they had withdrawn, but Kip Keino dismissed that, saying they are just struggling to fund the trip. Oregon’s Ashley Maton Keeping Pro Track Options Open While Pursuing Her Master’s Degree In Education Maton used the last of her eligibility in the fall, but still trains with the UO team while in grad school. An interesting side note: Maton and former Duck Parker Stinson are getting married this summer. Updated Men’s Bowerman Watch List Edward Cheserek and Emmanuel Korir are the two distance men on the list. Sad News: 11-Year-Old Boy Dies At Track Practice In Miami The boy collapsed while warming up on the track, but as of now the cause of death is unknown. April 1: Galen Rupp And Jordan Hasay Will Face World Class Field At The Prague Half Marathon World record holder Peres Jepchirchir leads the women’s field with six other sub-1:09 runners. Rupp will face Rio 10,000 bronze medalist Tamirat Tola and four sub-1 hour Kenyans. March 19: Stephen Sambu Will Try To Defend His NYC Half-Marathon Title Against Olympic Silver Medalist Feyisa Lilesa And GB’s Callum Hawkins Former Olympic champ Meseret Defar leads women’s race against former world champ Edna Kiplagat. American previously announced include Molly Huddle and Alexi Pappas. *NYC Half To Feature Strongest-Ever Japanese Athlete Contingent At A New York Road Runners Race They are lead by university champion Rintaro Takeda (61:59). March 19: Former Champions Weldon Kirui And Daniel Limo Lead Strong Men’s Field For The 2017 Los Angeles Marathon Kirui returns to defend his title against 2015 winner Limo while the women are led by former Olympian Mestawet Tufa (2:24:30 lifetime best) and US’s Lindsey Scherf. NYC Marathon By The Numbers: Record Number Of 98,247 Apply To Enter, Only 16,211 Get A Bib That’s only 17% acceptance rate. Anyone who didn’t make the cut will have to run for a charity or find another way in. 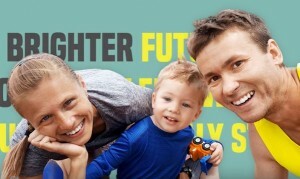 August 20: $25 Thousand Pay Day For Any Australian Who Can Break The National Half Marathon Record At The 7 Sunshine Coast Marathon Collis Birmingham will shoot for the 23-year-old men’s record of 1:01:11. The women’s mark is 1:09:00. November: NYC Marathon By The Numbers: Record Number Of 98,247 Apply To Enter, Only 16,211 Get A Bib That’s only 17% acceptance rate. Anyone who didn’t make the cut will have to run for a charity or find another way in. DyeStat: “Five Distance Storylines At USATF Indoors” Clayton Murphy vs. Robby Andrews in the 1,000m will be a highlight. Usain Bolt Says If He Had Lost His 2008 Olympic Medal Before The Rio Games, He Might Have Considered Going On To 2020 He wanted to at least have the chance to say he had the “triple-triple” even if he lost one afterwards. Jamaica Gleaner: “Yohan Blake Ready To Take Baton From Usain Bolt” Blake has came a long way on his road back from injury, but still failed to medal in the Rio 100 and missed the 200m final. IOC Adds Human Rights Clause To Host City Contract In the past there have been concerns over Olympic hosts having gotten away with abusing workers building venues for the Games and other issues such as Russia’s gay rights abuse before Sochi 2014. Durban, South Africa May Drop Out As Hosts Of 2022 Commonwealth Games They were awarded the Games in 2015 after they were the only city to make a bid, but now say they may not be able due to financial issues. London 2017 Launches Ticket Re-Sale Scheme Now fans can legally resell their ticket at face value through the London 2017 website. Craig Reedie Says He Was “Blindsided” By IOC Letter Claiming WADA Had Admitted There Might Not Be Enough Evidence To Bring Sanctions Against Russian Athletes Reedie defended Richard McLaren‘s report, saying it was never his job to collect evidence against individual athletes, but of institutionalized doping which he did. Haile Gebrselassie Believes Jail Time As Punishment Could Help To Stamp Out Doping In Ethiopia One Ethiopian athlete possibly faces 3 years in prison for testing positive for meldonium. Athletes At Euro 2020 Champs Will Have To Pass A “Driving Licence System” For Anti-Doping/Ethics This reminds us of the online tutorials incoming college freshman have to compete about why they shouldn’t drink. European Athletics President Svein Arne Hansen Believes There’s Been A “Change Of Mentality” In Russia Over Doping We see mixed evidence as some days they are admitting they have “failed” and other days they are denying everything. 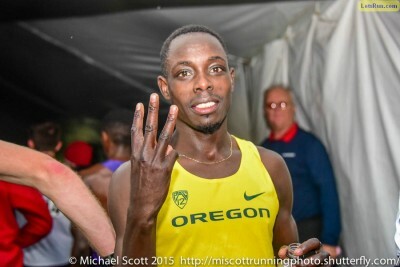 LRC NCAA Men’s Entries Analysis: Why Is Edward Cheserek Tripling? And Might He Actually Quadruple? Because Oregon Needs Him More Than Ever Oregon has won the last 3 indoor titles, but this year they face an uphill battle as they, at least on paper, are almost a one-person track team. They’ve only got 1 projected individual scorer on the roster not named Edward Cheserek. 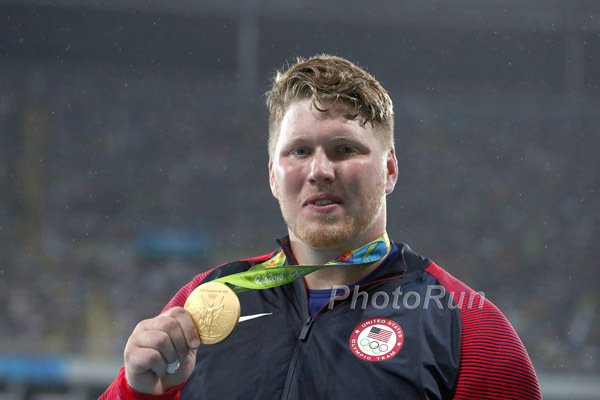 Olympic Shot Put Champ Ryan Crouser Shares Some Track/Life Advice We’re not sure we’d take his tip on driving as he says you should “practice driving on the other side of the road” in case you travel to a country where they drive on the left hand side. 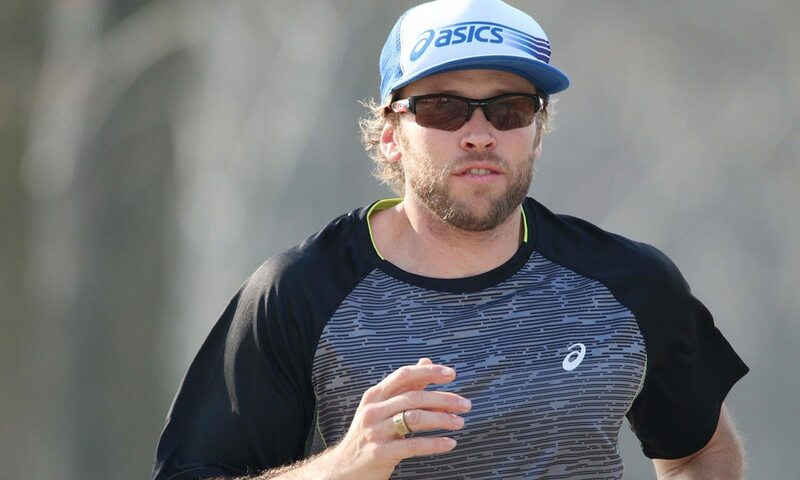 IAAF Profile: Is France’s Kevin Mayer Going To Take Over From Ashton Eaton As The Next Decathlon Star? Mayer won silver in Rio, but pressured Eaton the whole way and finished only 59 points behind. Conviction Upheld For College Friend Of Boston Bomber Dzhokhar Tsarnaev Robel Phillipos removed items from Tsarnaev’s dorm room after the bombing and then lied to FBI agents about it. 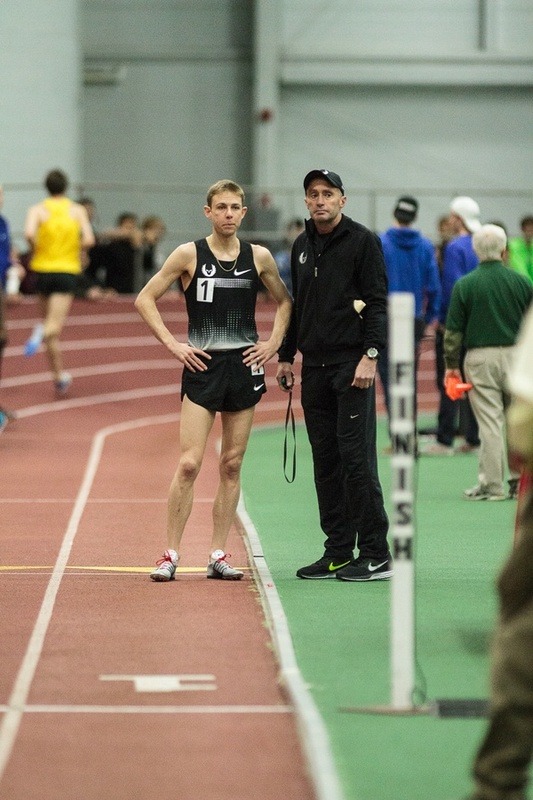 LRC Q&A Q&A With Andy Powell: Oregon Distance Coach Discusses The Greatness Of Edward Cheserek, Learning From Centro And Salazar & How He Peaks Athletes For NCAAs We caught up with Powell after Cheserek’s collegiate record 3:52.01 mile in Boston and he shared details on Oregon’s training system, how Cheserek bounced back from his defeat at NCAA XC and his relationship with Centrowitz, whom he coached to World Championships bronze in 2011. 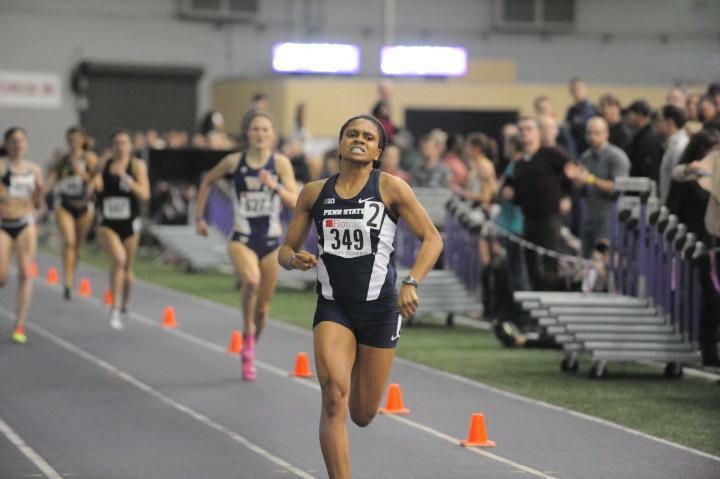 Event-By-Event Top 10 Marks From Conference Champs Weekend A weekend highlight was the Big Ten women’s 5,000, where IU’s Katherine Receveur won a close race in 15:28.89 to to beat Penn State’s Tessa Barrett (15:28.99) and Erin Finn (15:32.45).